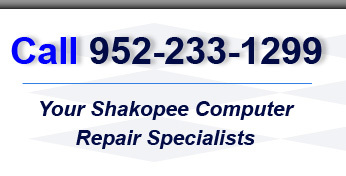 Shakopee Computer Repair is proud to be your choice for the best quality locally owned and operated virus removal service in Shakopee, MN. We are very excited to endorse Blue PC as your local virus removal specialists because of their value pricing structure and their enduring effort to premium customer service and the neighborhoods around them. Blue PC delivers the best quality virus removal services in Shakopee, MN. Regardless if you have viruses, malware, spyware, or adware infecting your system or you just need quality anti-virus software installed and configured, we handle it all. We have been in business since 2005, and we have many satisfied residential and business customers throughout the Shakopee area. 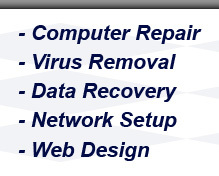 If you need virus removal service, please call Blue PC today at 952-233-1299 or request an online quote. 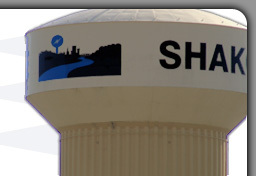 At Blue PC, we are more than just your Shakopee virus removal experts. We also believe it is vital to engage with the changing communities around us to grow our professional and personal relationship with our customers and community. We sponsor Prior Lake's city celebration, Lakefront Days, every year as part of this commitment; and plan to become more active in Derby Days, the Shakopee city celebration. We are also very involved in the business section of Shakopee and surrounding areas by being a member of a local chamber of commerce. If you are looking for fast, friendly, and reliable Shakopee virus removal service, call Blue PC today at 952-233-1299 or request an online quote.